In this blog I would like to talk about to talk about K-pop many other things that I love. I hope that when people see this blog they would see the type of person I am. I hope for everyone to have a happy and joyful day. Hello, everyone, I hope that you guys had a wonderful day. As seen in the title in this post I will be talking about VIXX new comeback video “Scentist” the word is a wordplay of the word “Scent” and “Artist”. After nine months VIXX is finally back and they have not disappointed me with this new album. I could not be happier. 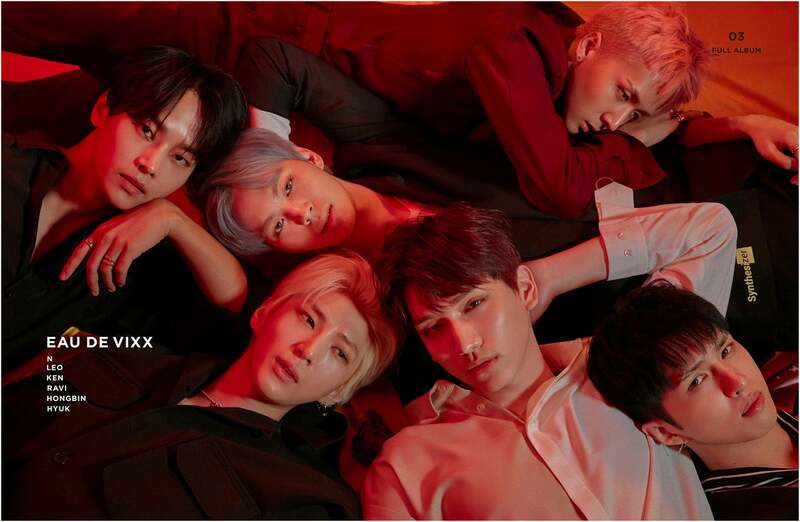 The album showcases a new side of VIXX which I find interesting every time they make a new comeback I always find myself curious as to what they will do next, and like always it something that I did not expect. I’m so fascinated with this comeback and I hope that you guys are too. Now back to the topic at hand the music video. The video has many elements and for me, I would like to think that these elements have meaning behind them. I believe that when all these pieces come together a full story will be made. Before I start with my theories I would like to say that these are mine personal opinions and that they may not be right. These are things that I catch while watching the music video and I thought that they may have been connected together. Hello, everyone, I know that I have not been posting and I would like to apologize for that. I have been very busy as I’m in the process of transferring college. I hope for your understanding and I would like to thank all of you guys that a still reading this little blog. I especially took this time to write this post because VIXX is finally back after 9 months and I couldn’t be happier. 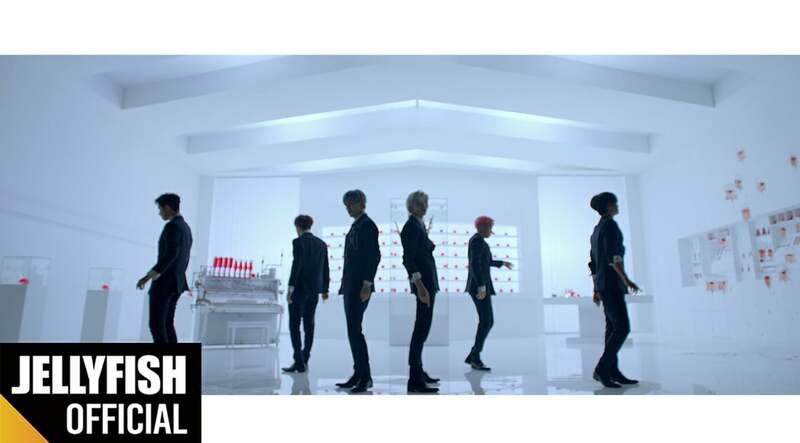 VIXX is back with a full album by the name “EAU DE VIXX” which is translated as the scent or fragrance of VIXX. This album consists of 12 songs. The members help in writing or composing the songs. All the songs on this album are amazing. This album display springs in a strong way. Not only do the songs have a very refreshing feel to them but they also have a bit of romantic feel to them. If you still have not listened to the album I will advise you to please do so. Through this album, VIXX once again are showing us different color once again. I would say that I would be playing this album on replay on my playlist. Will make another post about the meaning of the music video soon please look up for it. I hope that you have a wonderful day and I hope to see you soon with more posts. Hi everyone I’m writing this post after VIXX LR “Whisper” MV has come out. I know that I am a bit late with this post and that many of you guys were waiting for me to post this MV meaning post but I have been so busy since school started that I have not had the time to write or do anything that I want to. I hope for your understanding and I hope that you enjoy this little post. I would like to say that everything that I write on this post is my opinion and in no way facts. This is my opinion base on what I saw and hear. I hope that you enjoy my interpretation on this MV. First I would like to talk about the fact that this song was not what I was expecting and that it was a little surprising. I was pleasantly surprised by the fact that this song starts really slow and then when Ravi enters with his gentle rap that really complements Leo voice really well. This song has a very calmness and then when it drops with Leo chorus almost whispering into your ears (OMG). This song overall is a very calm and chill song with an electronic to it. One of the thing that I really enjoy about this song is the fact that Leo got to showcase his vocals and base on the song I feel that Ravi got to enjoy and show his rap more than when he is on VIXX. I glad that this song is something that showcases both Leo vocals and Ravi rap. In addition, this song has a very minimalistic feel to it the fact that it does not have too many extra things I really enjoy that but I know that some people like the song to have more going for them. I personally enjoy vocals more than the sound of the songs and I really like this song. Also please listen to the rest of the mini album I really enjoy the mini album. I hope that you to enjoy it as well. HI, everyone, I hope that you enjoy your day today. I would like to apologize for not posting more these days but I’m getting ready because school is starting soon. I hope that you understand. But would like to say that I would try to still post as much as I can. Well back to what you guys are here for and that is VIXX LR comeback news. 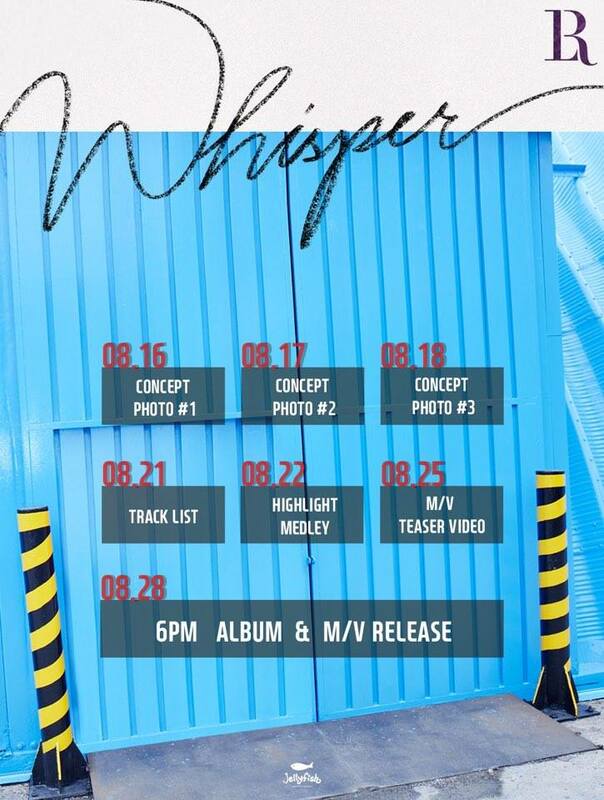 Jellyfish drop the tracklist of VIXX LR mini album “Whisper” yesterday. We could see that the mini album will consist of 5 or 6 songs and all the songs in the album are composed by both Leo and Ravi. 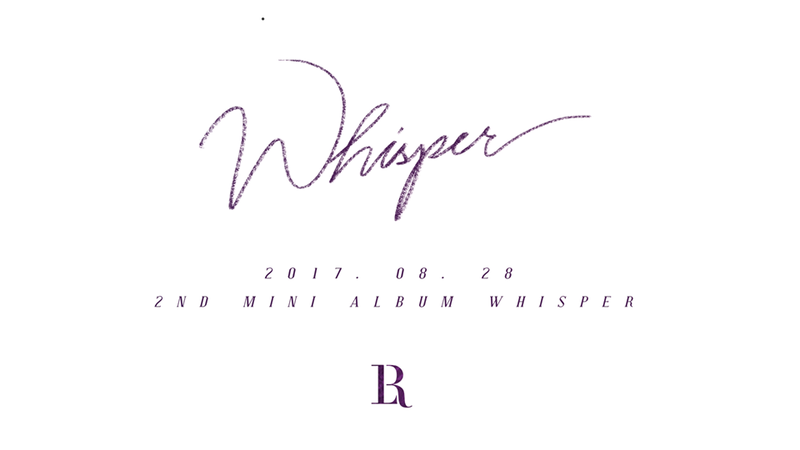 The title song “Whisper” was composed by Ravi who also wrote the lyric of the song as well. The songs all have a nice grooving sound to them. In the Highlight Medley, you could get a better sense of the different songs and the different yet similar element that the songs have to give. The songs highlight when I first hear it gave me a bit of retro and groove with a bit of Hip-Hop feel to it. I will do a better analysis of the songs after I hear the entired songs. I will see you again when the MV and Mini album is released. Hi everyone today Jellyfish has release Ravi’s concept photo teaser’s. Yesterday they release Leo’s photo teaser to which I said had a very retro and hip hop feel. I’m not saying that the concept is going to be this way but this is the feeling that I am getting from Leo’s and Ravi’s concept photo teaser. I would see what tomorrow’s photo teaser is going to be to make sure if I am right but for now, my prediction is that the concept would be retro with an element of hip hop on it. I will make sure to keep you guy’s update and I hope that you enjoy your day today. I would also like to say thank you for reading this little post. Hi everyone I hope that you are enjoying your week. I would like to say sorry for not writing this updates as they come along I have been busy with class starting soon. I hope that you understand and thank you for continuing reading this little blog. Yesterday Jellyfish updater us with VIXX LR Scheduler for the schedule it is saved to say that we are going to be getting more hit on the concept of this comeback the rest of week.